The other morning, I was at the Discount Drug Mart in Eastlake, waiting for the place to open at 8 in the morning, when I overheard a conversation between two older gentlemen standing nearby. "It's been a beautiful summer, hasn't it,'' one of the men said. That exchange stopped me dead in my tracks. Until that moment, I hadn't given a second's thought to the looming end of what for golfers in these parts has been one of the best summers weather-wise in many a year. Yes, I haven't forgotten about the long stretch of unusually warm weather that we had in parts of June, all of July and parts of August. I like it hot, so strings of 90-degree days were no problem for me. I made good on a resolution to play more rounds of golf this summer than I had in recent years. It was a pleasant task made all the more pleasant by having two regularly scheduled golf dates most weeks with new friend Mike Mohner and old friends Joe Cocozzo, Steve Roszczyk and Rick Stenger. Mike, now retired, is the longtime teacher and coach who worked in the Fairport and Painesville school systems. We got to know each other in the Lake County Captains press box, where I take care of business as Captains beat writer for The News-Herald and Mike splits official scorer duties with Glen Blabolil. 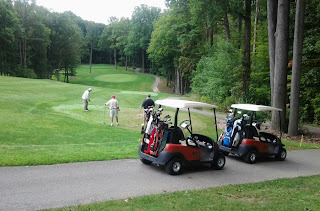 Early in the season, Mike invited me to join him and his regular playing partners on their Monday morning golf outings. They go to a different course every week and start early, usually between 8 and 8:30 a.m. The company and variety of courses are great. The starting times fit my work schedule. Last but not least, these guys share my preference for affordable greens fees. That we're all old enough to qualify for senior rates is another big plus. Joe, Steve and Rick are all former publishers of The News-Herald. Joe and I have been playing together for many years. Steve and Rick have joined in the last couple of years. Affordability is a big consideration for this group of guys, too. Yes, we all take advantage of senior rates. In alphabetical order, here are the courses we've visited this summer that fit the "Affordabili-TEES'' niche. Comment: Great walking course with some tough, underrated holes. 9760 Mayfield Rd., Chester Twp. 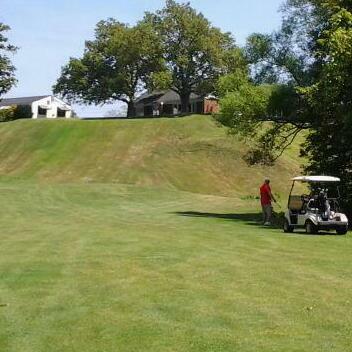 Comment: Does any public course in NE Ohio have tougher par-4s? Photo below. Comment: Soft spot in my heart because I've probably played more rounds here than anywhere else in 50 years. Comment: Cool place to play with some interesting holes. Really good food at the snack bar. Comment: Took a "road trip'' here at the behest of Mike Mohner,. 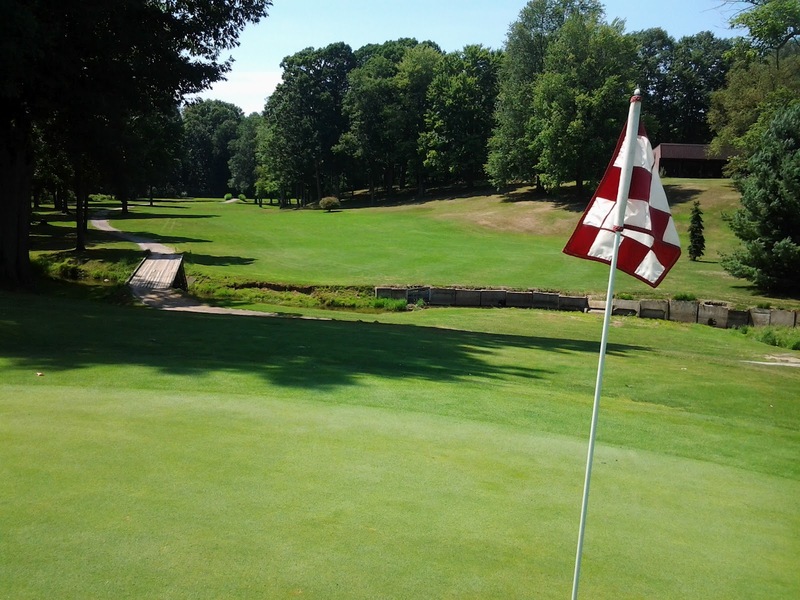 who fondly remembers coming to this NE Trumbull County course every summer on family vacations with his parents and siblings. I loved the place and can't wait to go back this fall when the leaves are changing. Photo below. 7298 Lake Rd. East, Madison Twp. Comment: Over the last 10 years, the most improved public course in Lake County. Comment: Some of these greens are downright scary, a la a pool table tilted 20 degrees.. Comment: People either love or hate this quirky layout. I like quirky. Photo below. 4654 Cold Springs Rd., Harpersfield Twp. Comment: Better bring your "A'' game to the back nine. 7667 Hermitage Rd., Concord Twp. Comment: Superior track gets in with $29 weekday senior greens fee. Comment: Vastly improved conditions at the course where I played my first round of golf 50 years ago. 6131 Chapel Rd., Madison Twp. Comment: Bad news - still in receivership. Good news - still open as public course. Better news - greens finally rounding into good shape. Comment: One of these days/decades/centuries, I'm going to hit the fairway on No. 8. Comment: Always a stiff test. Love the look of the re-build around No. 6 green. Photo below. Comment: Have always enjoyed the golf course. Love the PBJ sandwich at the snack bar! Comment: Friendly if a little rough around the edges. 3991 Bates Rd., Madison Twp. Comment: Like a lot of holes here, even if they don't always like me back!!! !